There are several issues regarding moving in later life. Many retirees are looking for a version of Mayberry, the fictional North Carolina town where the 1960’s show “Andy Griffith” took place. Even if retirees were successful in finding their own personal Mayberrys, it would still have its drawbacks. Retirees who move later in life are usually more likely to be more assertive, more aggressive, and more likely to have been proactive than passive. Sometimes a strong personality which helped you in previous jobs or life circumstances is not conducive to melding in with an unhurried populace in your intended new quiet community. Ask yourself if your temperament would help you meld into the destination, and not ostracize you from the locals who might think you are too ‘gung-ho’ or ‘high-strung’. 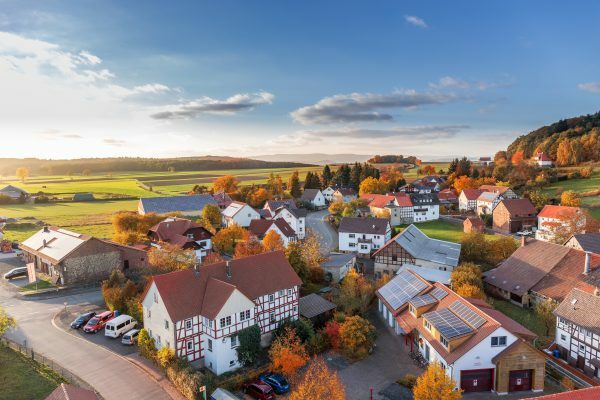 Unfortunately, if you’ve found an idyllic small-town community, chances are, others have too, and that quaint little town might not be small and quaint for long. You might want to aim for a historic district, where future development will be kept to a minimum. Health care cannot be stressed enough! Many move to a new town with the understanding that “medical care in the area is excellent” without being informed that there are yearlong waiting lists, or an unfavorable ratio of doctors to residents. One retiree reports that upon moving to knew town, she was informed that if she had to call the medics for a heart problem, she would have to be taken two counties over from where they were. Availability of transportation is something to look into as well. Smaller towns have fewer public transportation options. If you are in your new home for a long time, and eventually have to relinquish your time behind the wheel, you should ask yourself if there are volunteer organizations or other agencies that offer transportation. Even if there are though, you may find there’s quite a waiting list for something like a door-to-door bus service for the disabled. For some retirees, the answer is that it is possible to do a partial conversion. You would need “qualified HSA funding distribution” or QHFD. With a QHFD, funds are transferred, tax-free directly from IRA to the HSA, but there are restrictions. You must be eligible to make an HSA contribution for the year, and only one QHFD can be done in your lifetime. You must participate in a high deductible health plan, which explains why only some people can make this partial conversion. An important thing to note is that if you are on Medicare, you won’t qualify because Medicare isn’t a high-deductible health plan under the HSA rules. If you are planning to move sometime soon, and have questions specifically about changing Medicare plans, or finding coverage in your new home state, SeniorQuote can help! Call us for a free consultation, or fill out a free quote form on our website. And if you happen to know someone who is moving, referring them to SeniorQuote is always appreciated!